Activity-packed camping holidays for your children! On the menu for their holiday: sports and recreational activities! Our free clubs (for 5 to 7 year olds and 8 to 12 year olds) mean kids will be able to enjoy the various activities on offer. Our organisers have put together an activity programme they'll just love, with treasure hunts, creative workshops, group games and end of stay shows just some of the most popular things among the children. Teenagers will also have a special activity programme to ensure their camping holiday is a truly unforgettable one! Please note: the activity schedule varies according to the season and French school holidays. The Teens Club team has done everything to ensure that your teens have an extraordinary camping holiday! Fun facilities so they never get bored! And we mustn't forget about our paddock with its donkeys and our archery stand, etc. 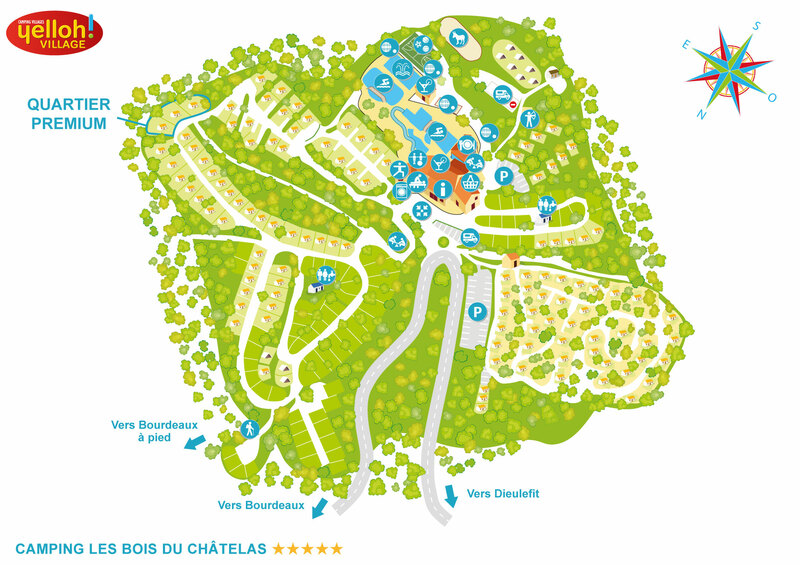 Beside the campsite is the Acro Pôle adventure park, in the heart of the countryside, where they can have fun climbing trees, and the crocodile farm with its 8,000 m² glasshouse, home to around 400 species of animal, including giant tortoises and crocodiles.